You can purchase a full membership for $60. The full membership is good one year from the date of purchase. 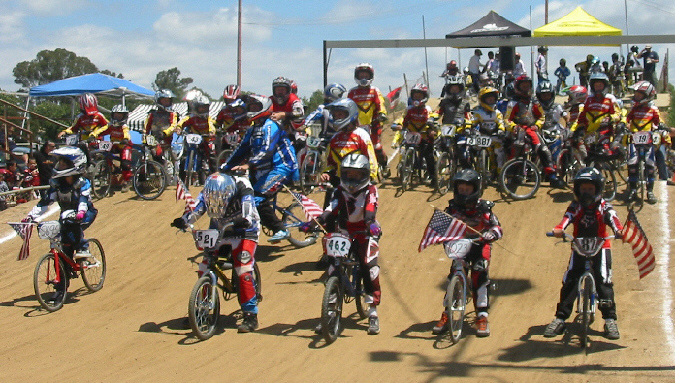 Once you have your full membership, points will be awarded to you at each race and you may compete in any USABMX sanctioned event. You can get family discounts signing up additional family members. Ask your local track manager for more information when you sign-up. 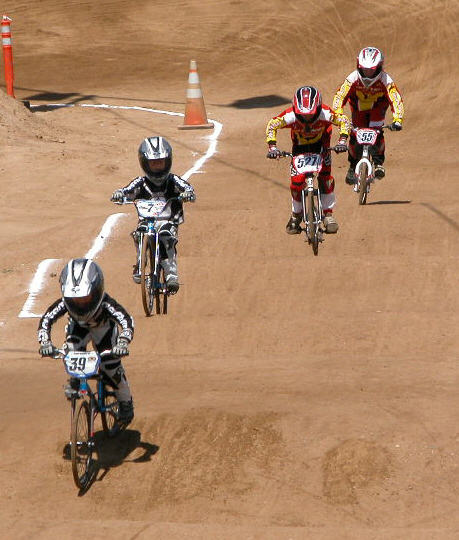 Kearny Moto Park is a dirt track approximately 1,000 feet long, with banked turns and jumps of all shapes and sizes. Actually, the first thing you need to do is find the sign-up / registration building. It is there that you'll need to fill out an ABA application and sign up to race. First-time racers are able to purchase a temporary membership for $25, which is good for 30 days. A "Temp" provides you with ABA's secondary insurance and enables you to go out on the track. 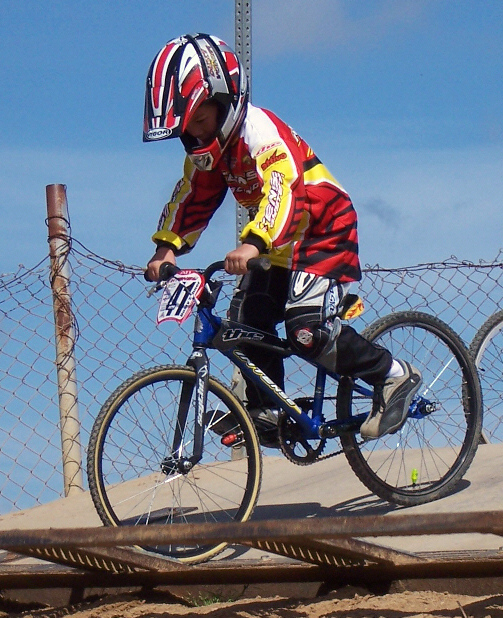 Once you've got the feel of balancing your bike on the gate, then you'll need to learn how to "snap" out of the gate. This is the motion of thrusting your hips into your handlebars and cranking down on your forward pedal as the gate is falling. 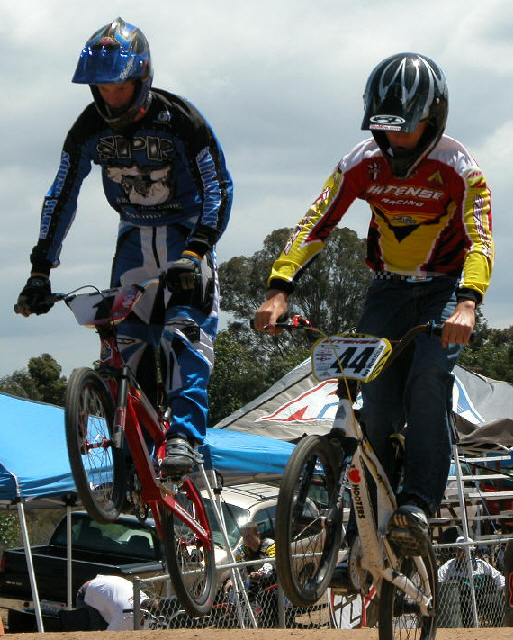 The best way to learn this is watching the local pros and experts at the track, and constantly practice. Obviously, the more you race and ride your bike, the better you will get. 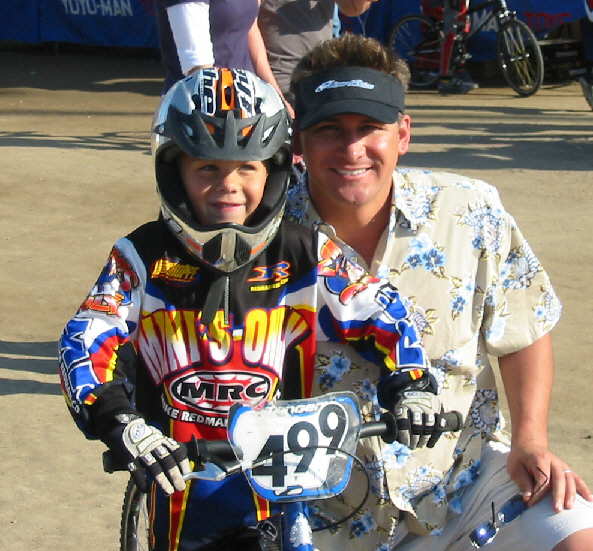 That old saying "Practice makes perfect" stands true in the world of BMX racing. Check our schedule for Practice times. 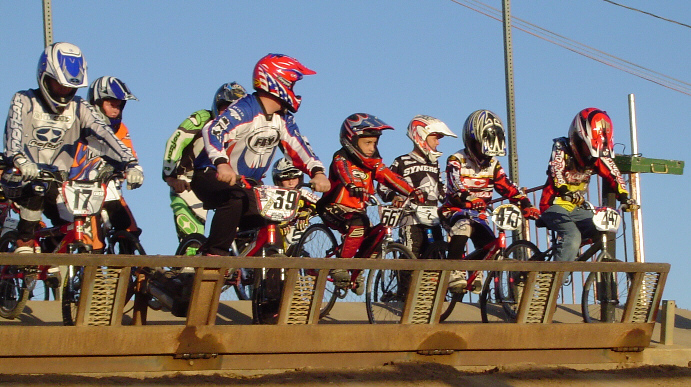 also, check out Cactus Park BMX web site for more practice and racing time. 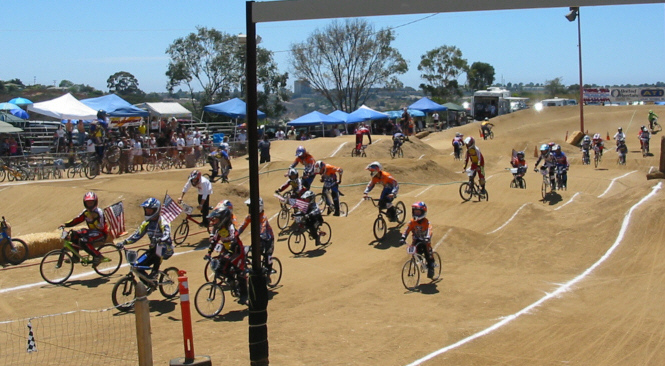 Throughout the year, there are many top pros in the sport of BMX who travel around the country putting on beginner clinics. 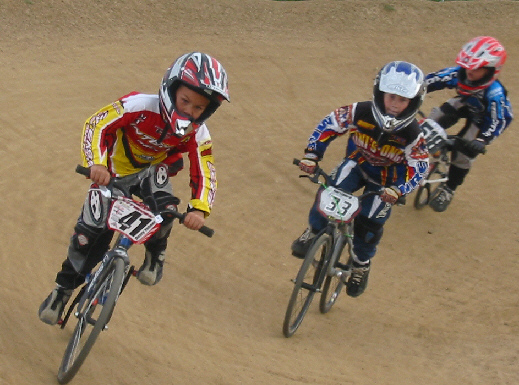 Attending a clinic is one of the best ways to learn how to get better in BMX. 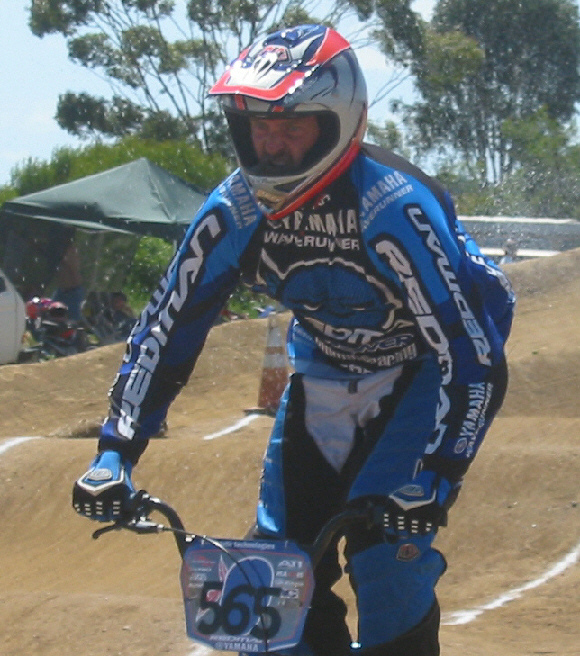 Clinic dates and time will be posted on the Kearny Moto Park web site. A bicycle - any type and size will do, but it is recommended that you start with one that has no more than a 20'' wheel diameter - as that is the allowable limit in the Novice class. How do I get to Kearny Moto Park? What time are your sign-ups and practice? How much will it cost to begin racing? Check our Links page for your equipment merchants. A helmet. 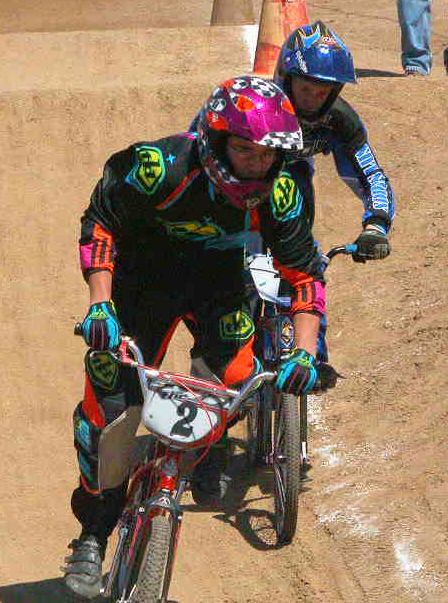 The ABA highly recommends a full-face helmet. Kearny Moto Park has "loaner helmets" for beginners to use.